Ann M. Funge has practiced exclusively family law since 1993. Ann clerked for a well-respected family law practitioner during her second summer of law school. She thoroughly enjoyed the broad range of legal knowledge, hard-nosed strategizing, high energy, and empathy required for the job. She was invited back as a full-time attorney upon graduation. Ann has amicably resolved and litigated countless family law disputes of varying size and complexity ever since. During her career, Ann has worked at a mid-sized general law firm, a family law boutique, and, immediately prior to starting her own firm, a large, national full-service law firm. Ann is a longstanding and involved member of her local, Pennsylvania, and American Bar Association Family Law Sections. She is the 2018 chair of the Philadelphia Bar Association Family Law Section and sits on its Executive, Programming, and Custody Committees. She led various committees, including the Programming Committee, while a member of the Allegheny County Bar Association’s Family Law Section. 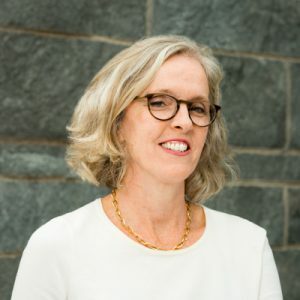 She served as the Chair and Co-Chair of the Montgomery County Family Law Section’s Practicum/Honorable Toby Lynn Dickman Seminar Committee and the Chair and Co-Chair of its Case Law Updates Committee. Ann is a three-time Council Member for the Pennsylvania Bar Association’s Family Law Section, former co-chair of its Membership Committee, and prior member of the Section’s Alimony Task Force. She served as President of both the Doris Jonas Freed Matrimonial Inn of Court, based in suburban Philadelphia, and the Pittsburgh Matrimonial Inn of Court. The Inns of Court is a national organization of attorneys, judges, law professors, and students dedicated to promoting and maintaining professionalism and civility within the legal profession. Ann also has been a member of the Pennsylvania Bar’s Legal Ethics and Professional Responsibility Committee since 1997. In that capacity, she periodically provides informal ethics opinions on behalf of the Committee which involve family law issues. Ann also is a member of the ‘Family Lawyer/Psychologist Group’ based out of Ardmore. Originally from northern New Jersey, Ann holds a B.S. in Commerce from the University of Virginia (1987) and a J.D. from the University of Pittsburgh (1993). She is admitted to practice in Pennsylvania and New Jersey. When not lawyering, Ann enjoys hiking, cooking, theater, and travel.